This project breathes new life into an important but weary structure. Initially constructed 1908, the original property is considered among the most significant Federation - Arts and Crafts houses in Tasmania. Restoration works were extensive, ranging from complex structural modifications to intricate, craftsman-lead renewal of internal timber and plasterwork and re-establishment of the property’s significant, mature landscape. New additions accommodate less formal living areas and an upper level master suite. Located discretely at the rear of the existing house, they are positioned to capture morning and afternoon sun and frame mountain and river views. A contemporary yet crafted approach was taken for the new additions which are designed to sit in contrast with the heritage structure. Lesser in scale, yet clearly reflective of their time and place, they complement the complex and visually commanding architecture of the existing house. The new construction is geometrically simplified, light filled and transparent. Insulated pre-cast concrete elements provide solidity, thermal performance and planar clarity, imbuing the new with a sense of permanence and stability in keeping with that of the old. "This significant, heritage-listed house was completed in 1908. However, the house has been subject to many unsympathetic changes. The restoration, together with changes required to adapt the house to the needs of a 21st century family, has been carried out with great sensitivity and consummate skill on the part of the designers and the craftspeople. A heritage consultant’s report formed the basis of the key architectural principles developed by the architects. These resulted in the removal of intrusive elements, the restoration of the heritage fabric and the design of an extension that is significantly different from the original building." "This significant Arts and Crafts house was completed in 1908. The architects were commissioned to design an extension, providing living and service areas on the ground floor and a bedroom suite above. 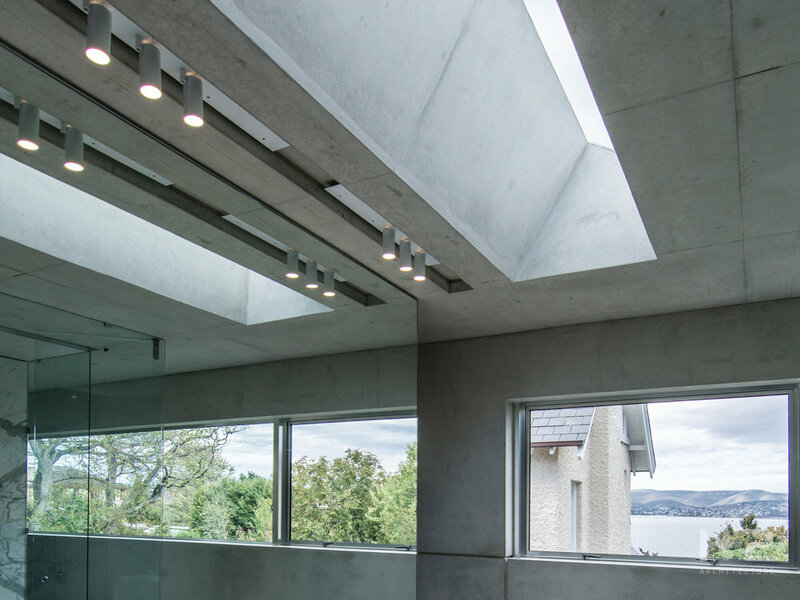 Contrasting with the materials of the original house, the extension is essentially concrete and glass. 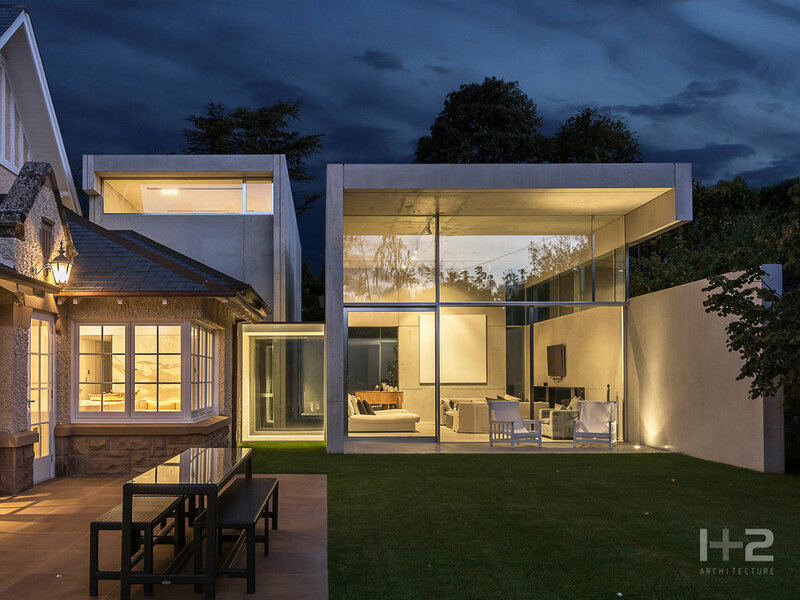 Similarly, the original building with its complex façades and roof forms, contrasts with the flat-roofed cuboid that connects directly to the garden. The extension is masterful with beautifully considered detailing and bold and generous spaces that pay respect, in a contemporary style, to the detail and scale of the original house."